Beauty and fashion go hand in hand. 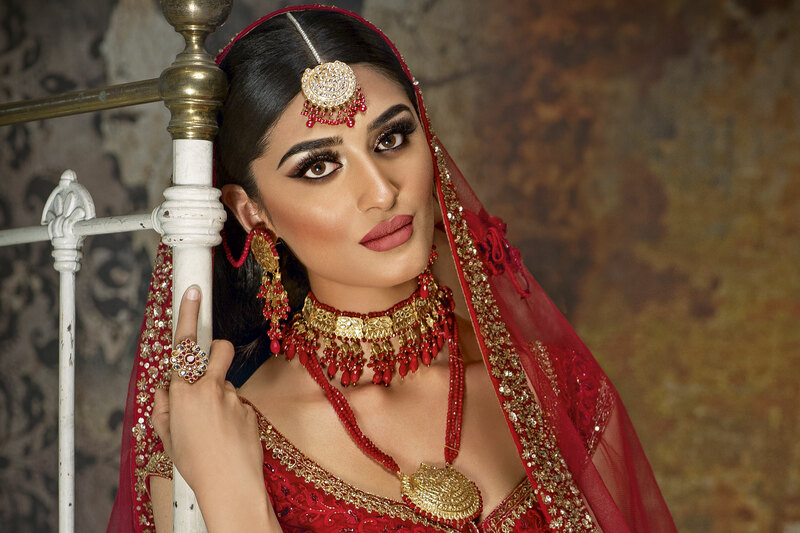 Nafisa creates hot new looks week in week out that can define a season or your wedding day. With a real passion for weddings, I provide my clients a fun and relaxing experience when visiting my studio. Please contact me for your personalised bridal consultation and trial for your desired look on your special day. I take pride in being detail orientated, dedicated and distinctively creative. I have worked alongside leading Model agencies, Designers, Stylists, Photographers and well known Cosmetic Companies. Make-up not only transforms your appearance, it can also transform your life! At Nafisa’s Training Academy, we provide the skills and training to take your passion to the next level. Contact us now to book your deisired course. Even whilst working at something completely different in finance, off-duty I enjoyed dabbling with make-up. What began as a hobby soon started to take over. From trying out how looks had been created on personalities and models, I began offering to make up friends and family. When by word of mouth I began to develop a client base, I knew that this was the career for me.